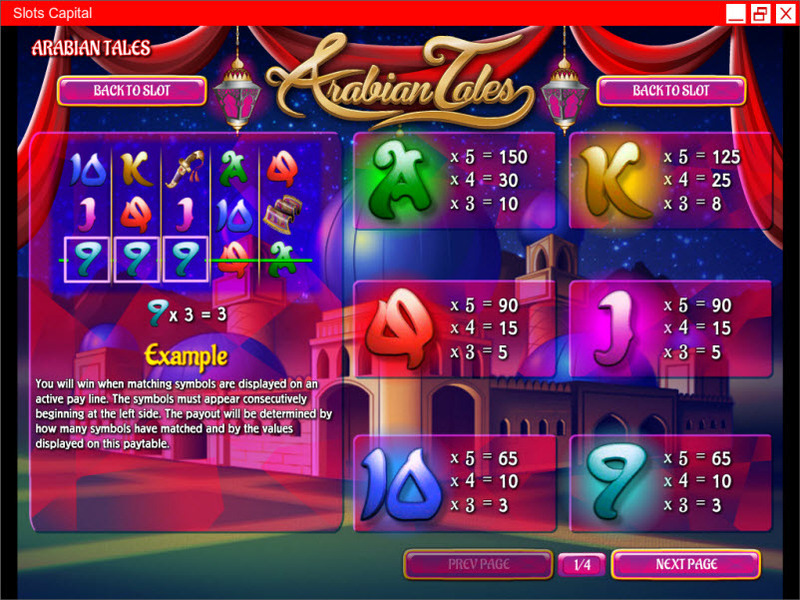 Overview: Arabian Tales is an enchanting slot that is laden with exotic imagery of the Ancient Middle East. As the story goes, a cruel King once existed that would marry a virgin bride every night, only to have her executed the next day. That is until one cunning young woman named Scheherazade, who had collected numerous stories of fantasy and magic, would leave the King in suspense every night with the start of a new fable. He would spare her life every day in anticipation to hear the end of her tales. The young beauty would weave legends about a Genie trapped in a lamp that could grant even the most fantastic wishes. About a magical carpet that could take flight with ease. She would chronicle the saga of an extraordinary sailor who crossed the seven seas. And of course, tell tales of the notorious Ali Baba and his forty thieves who hid untold treasures in a mystical cave that would only open when a secret phrase was uttered. 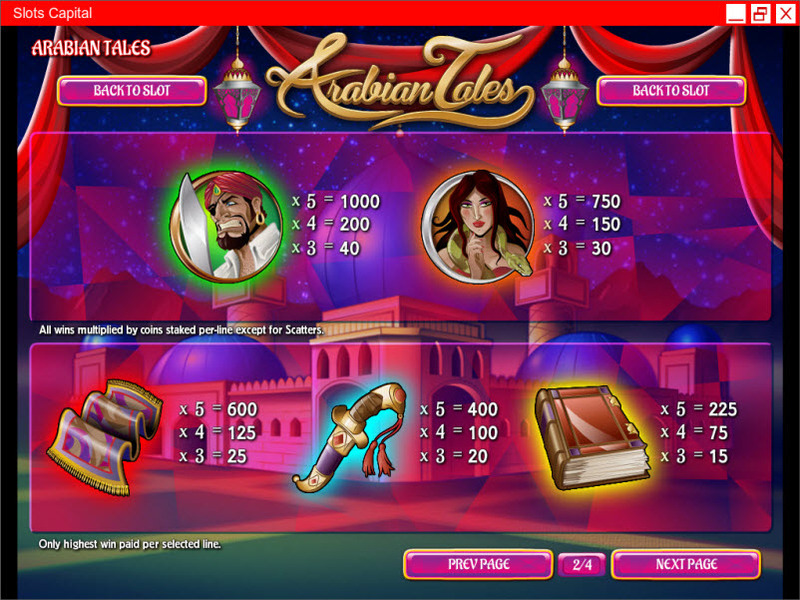 Arabian Tales is brimming with these legends and more. Icons include the symbols 9, 10, J, Q, K, A, along with a book, dagger, magic carpet, and an expanding wild lamp. Icons also included are Scheherazade. 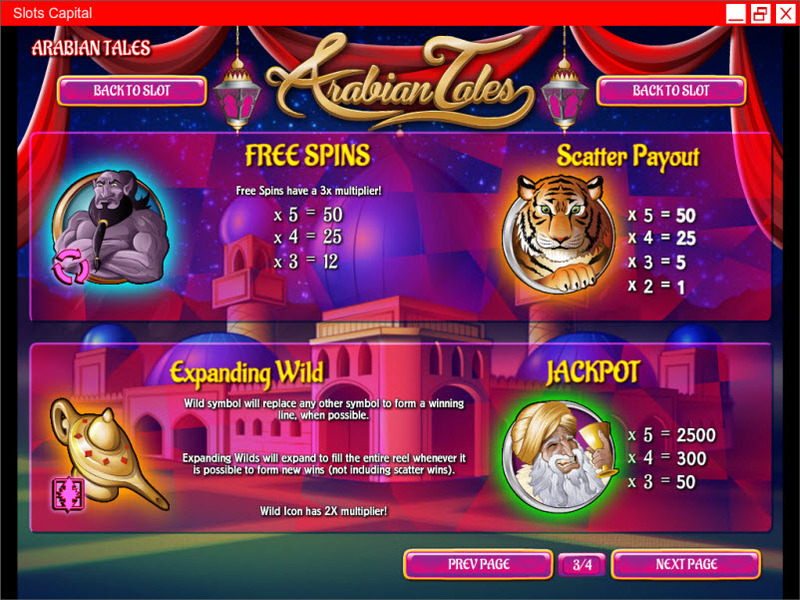 Sinbad, the King, a Tiger, and the Genie which triggers the "Open Sesame" free spin round. 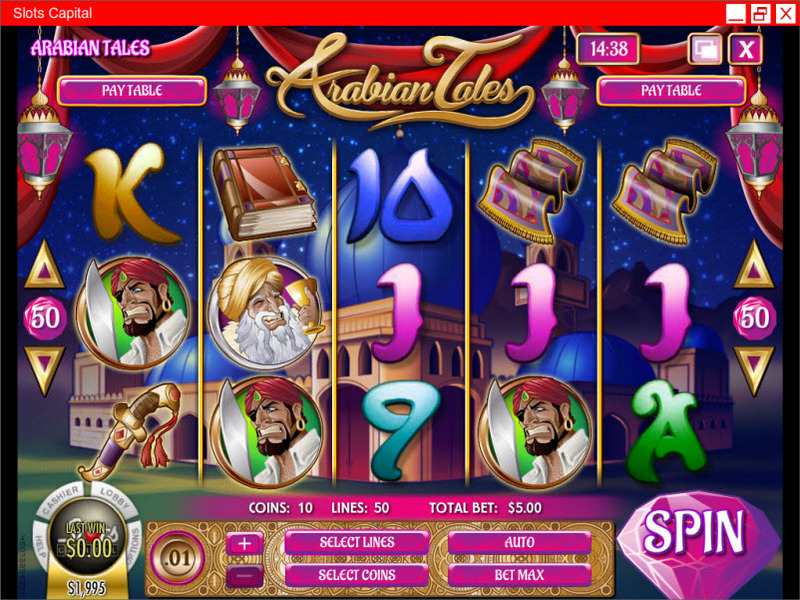 Similar Slots: If you like Arabian Tales, you might like these other Rival video slot machines: Grandma's Attic, Hobo's Hoard, Lost Secret of Atlantis, Reel Party Platinum, Wheel of Cash.